Weeks after a Hyatt hotel in Virginia hosted the annual conference of an anti-Muslim organization, the CEO of Hyatt Hotels Corporation has announced that the hotel chain will no longer rent space to hate groups. On Sept. 28, the Los Angeles Times reported that Hyatt, which operates nearly 800 hotels across the country, sent a memo to employees spelling out the new policy. On Sept. 4 and 5, the Hyatt Regency in Crystal City, Virginia, hosted the annual conference of the anti-Muslim hate group Act for America. 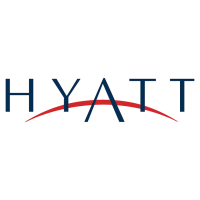 But the civil rights group Muslim Advocates argued that Hyatt would be breaking no laws by refusing to host Act for America, and pointed to other hospitality companies ― including Hilton, Airbnb, Sofitel (owned by AccorHotels) and the Willard Hotel (owned by IHG) ― that have declined to host white supremacist groups. Act for America claims a (likely exaggerated) membership of 750,000 people. Although it bills itself as the “NRA of national security,” it mainly focuses on vilifying Muslims, spreading baseless conspiracy theories and lobbying legislators to pass discriminatory laws. At this year’s Act for America conference, [Brigitte] Gabriel [Act for America’s founder] bragged that she worked “very closely with the office of the President” on issues related to national security. “Hyatt’s announcement is a welcome one for consumers who want their hotels to be safe spaces to relax and be themselves free from hostility and discrimination,” Muslim Advocates’ public advocacy director Scott Simpson said in a statement. Contact other chains and demand that they cease in holding events for hate groups. Republicans control Congress and the White House (for now), but meanwhile the rest of us can use our buying power to demand businesses say "no" to haters.